Book Movie and Bus Tickets Online - TREASURE YOUR TIME! Bava starring Siddarth and Praneetha is due to be released on Oct 29th, 2010. In this film, Siddarth plays the role of a village youth in Godavari district. Dr.Rajendra Prasad plays the role of Siddarth's father and the female lead, Praneetha is Siddarth's cousin. Bava movie is filmed to be a family-entertainer and revolves around love and playfulness of two cousins. It also touches upon father-son relationship. Dialogues are written by Chintapalli Ramana and the music is composed by Chakri. Bava movie is directed by Rambabu and produced by M.L. Kumar Chowdary under the banner of Sri Keerthi Combines. To buy online movie tickets for Bava movie, click on the link below. Book Online Bava Movie Tickets. 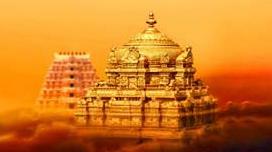 Tirupati, the major pilgrimage city for Hindus is located in Chittoor district of Andhra Pradesh. It is located at a distance of 550 km, south of Hyderabad. Over 20 million people visit Tirupati annually (50000 a day) which is almost double the number that visit the Vatican city. The Lord Venkateshwara Swamy temple, nestling in the seven hills of Tirumala, is among the busiest pilgrimage centres in the world. Other famous temples in Tirupati are the Padmavathi temple, Alamelu Mangamma temple, Govindaraja temple etc. other plcaes to visit for entertainment are several parks, theatres, multiplexes, theme parks etc. Telugu is the main language spoken here and as it is a tourist attraction, Tirupati has a number of luxury, budget and cheap hotels to cater to every purse. Some of the luxury hotels are Fortune Kences Tirupati, Gopikrishna Tirupati, Sunil Krishna Tirupati, Highland Darshan Tirupati, Bhima’s Residency Tirupati, Annapurna Residency Tirupati, Mayura Tirupati, Sindhu International Tiruapti etc. Tirupati has hot summers going up to 45 degrees C. September to February, is the best time to visit the town. For the convenience of bus passengers, there are several private buses plying from Hyderabad to Tirupati for which you can book bus tickets online. Popular Bus Operators between Hyderabad to Tirupati include Sree Madhavi Travels, Sree Kaleswari Travels, SVR Tours Travels. Several types of buses like Volvo, Semi Sleeper, Non-AC are available to cater for all sorts of budgets. Major bus boarding points in Hyderabad for this bus route include Ameerpet, Chandanagar, ESI, K.P.H.B, KUKATPALLY, Kachiguda, Lakdi-ka-pool, Madhapur, Miyapur, Nampally, Paradise, Punjagutta, S.R Nagar, Secunderbad Station, Srinivasa Colony and Vivekananda Nagar Colony. while enroute, you get to experience many important towns like Jadcherla, Pebbair, Kurnool, Nandyal, Cuddapah, Rayachoti, and Pileru. You can book online bus tickets from Hyderabad to Tirupati at buses.nomorequeue.com. 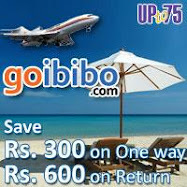 buses.nomorequeue.com has online bus booking facility to various destinations in India. It covers bus tickets to major cities, Hyderabad, Chennai, Bangalore, Kolkata, Delhi, Mumbai, Pune etc from various cities and towns. There is a wide choice available with regard to types of buses, servicing these routes like Deluxe, Semi-deluxe, Sleeper, Luxury, General, Volvo AC etc, to meet low-end as well as high-end budget. In addition, bus travel is most convenient when compared to railways with many boarding and destination points. 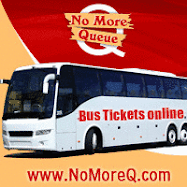 Online booking of bus tickets is easy on buses.nomorequeue.com. You can find various details like routes, bus type, timings, boarding/destination points and fares. 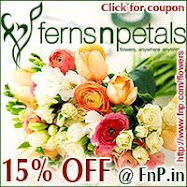 You also have the ability of advance booking of bus tickets for a hassle-free journey. New bus routes are being added every week. Online bus tickets from Hyderabad to Tirupathi on Sree Madhavi Travels and from Delhi to Manali on Travels Moon are now available. Kannada movie ‘Jackie’ starring Puneet Raj Kumar is set to release on October 15 is among the most awaited movies of the year. Jackie Movie has been directed by Suri of Slum Bala fame and is produced by Raghavedra Raj Kumar. Apart from Puneet Raj Kumar, the movie stars Bhavana in the female lead, Rangayana Raghu, Ravi Kale, Sampath, Shobharaj, Umesh and others. Jackie Movie promises to be a visual treat having been shot in exotic locations in Namibia, Austria, Somwarpet, Kushalnagar, Mysore and Bangalore. Music of the Jackie movie composed by V. Harikrishna, has already been released and has become very popular with three songs in particular ‘Jackie’, Shiva Antha Goguthidde’, and ‘Edavatha Aithu’ catching the public imagination. It is widely expected that the Jackie movie will set a new record in ticket collections in Kannada film industry. Planning to visit Pune in the near future, then include Adlabs Imagica in your schedule. Get the Adlabs Imagica Ticket Offers here. Aakrosh movie, set to release on October 15, 2010, is a hard hitting film on honour killings in remote villages in Bihar. Aakrosh, the movie and has a power packed star cast that includes Ajay Devgn, Akshaye Khanna, Bipasha Basu and Paresh Rawal. Film Aakrosh, is directed by Priyadarshan who moves away from his trademark comic films and remakes with this original story and is produced by Kumar Mangat. Music is by Pritam while lyrics have been given by Irshad Kamil. Set in a village called Jhanjhar where three Delhi University students go missing after a ‘Ramleela’ event, the Aakrosh story centres around two CBI officers Siddhant Chaturvedi and Pratap Kumar who try to uncover the mystery of the high profile missing case of the students. What appears to be an honour killing case goes through a mysterious maze of complex caste relations, riots, arson and murders. To complicate matters the two officers have very diverse personalities and work styles and that leads to further conflict. But the two officers have to resolve their issues to crack the case in the face of opposition from the local police, politicians and landlords, who support the local militant outfit called Shool Sena. The low caste members are tight lipped and the only help comes from unexpected quarters, the daughter of the richest person in the village. The mystery unveils itself slowly as another victim of the caste politics, Geeta, stands up as witness. Aakrosh, the movie promises much with a strong story line, an accomplished director, a food cast and an acclaimed music director and appears to be one of the better bets this season. Rajanikanth can delete the Recycling Bin. Rajnikant had a nomorequeue coupon to book tickets,the coupon was valid for one time use,but he used the coupon on other shopping portals too to buy flight tickets,buy stuff and recharge his mobile. Jaha na pahuche Ghajini waha pahuche Rajni. When Rajnikanth went hiking and he felt cold, he pulled up a hill to form the mt.everest to stop the cold winds from the north. When rajnikant wants to cross a river, he pulls a fish on the surface, stands on it and crosses the river. Once Rajnikanth was invited to be part of Bigg Boss house. The next thing we heard was "Rajnikanth chahte hain, Bigg Boss confession room mein aayen"
‎20yrs later Robots will make a film called "RAJNIKANT"
Rajinikanth doesn't need a visa to travel abroad, he just jumps from the tallest building in Chennai and holds himself in the air while the earth rotates. Leading hand sanitizers claim they can kill 99.9 percent of germs. Rajinikanth can kill 100 percent of whatever he wants. When Rajinkanth looks in a mirror the mirror shatters, because not even glass is stupid enough to get in between Rajinikanth and Rajinikanth. There is no such thing as evolution, it’s just a list of creatures that Rajinikanth allowed to live. Once a cobra bit Rajinikanth’s leg. After five days of excruciating pain, the cobra died. Rajinikanth is a champion in ‘Hide n’ seek’ game, as no one can hide from him. Rajinikanth's acting is so good that he even makes onions cry. Ghosts are actually caused by Rajanikanth killing people faster than death can process them. Behind every successful man, there is a woman. Behind every dead man, there is Rajanikanth. The square root of Rajinikanth is pain. Do not try to square Rajinikanth, the result is death. Rajinikanth once got into a knife-fight. The knife lost. There are no weapons of mass destruction in Iraq. Rajinikanth lives in Chennai. Rajinikanth kills two stones with one bird. Rajinikanth’s calendar goes straight from March 31st to April 2nd, no one fools Rajanikanth. The much awaited Junior NTR, Kajal Agarwal and Samantha starrer Brindavanam movie is going to hit the screens on October 14th, 2010. Produced by Dil Raju, Brindavanam movie is a family entertainer and has something for everyone. With Junior NTR’s power packed performance, the charms of the two heroines, backed by a solid supporting cast and great technicians, the Brindavanam film is a sure winner. Going with a tag line, Govindhudu Andhari Vaadele, Brindavanam movie is part action, part comedy and part romance. Brindavanam movie is set in a village that is torn apart by the rivalry of two stubborn step brothers, Prakash Raj and Srihari. Samantha is Prakash Raj’s daughter and Kajal is Srihari’s daughter, the former studying in the city and the latter in the village. In the city, the happy go lucky Junior NTR helps Samantha out of a situation and they become good friends. All is well until Kajal’s marriage is fixed to a guy she does not wish to marry. She reaches out to Samantha to help her. Samantha asks Junior NTR to help her cousin and that is when the hero enters the village. As he goes about trying to sort this messy issue out delicately, he also manages to sort out many other issues that plague the village. The main issue of the rivalry between the two step brothers is sorted out as well and the stage is set for a happy ending with one hero and two heroines. Directed by Vamsi Paidipally, Brindavanam movie has a liberal dose of great comedy with Junior NTR, Brahmanandam and some fine action scenes. The cast includes Junior NTR, Samantha, Kajal, Srihari, Prakash Raj, Brahmanandam, Kota Srinivas Rao, Venu Madhav and others. Camera is wielded by Chota K. Naidu while music has been given by S.S.Thaman. Mahesh Khaleja movie is Mahesh Babu’s and Anushka’s much awaited release. Directed by Trivikram Srinivas, Mahesh Khaleja (Kaleja) movie is an romance with liberal doses of adventure and comedy. Mahesh Khaleja film is produced by Singanmala Ramesh and Kalyan under the banner of Sri Surya’s movies. 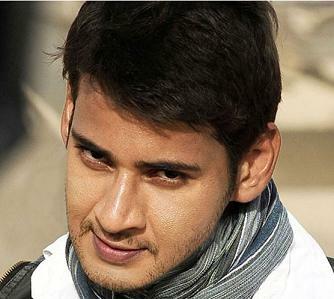 Mahesh Babu plays the role of a taxi driver in Mahesh Khaleja movie, the son of a principled school teacher. Mahesh Babu lives life as a taxi driver on his own terms, not interfering with anyone’s lives until fate draws him into a series of interesting circumstances. Mahesh Babu is taken to Rajasthan on work and once there he survives a deadly attack on him. When he regains consciousness he is being taken care of by some villagers who then narrate their tale of woe and ask him to rescue them and their village. Anushka is the lady love of Mahesh Babu while Prakash Raj plays the villain in Mahesh Khaleja movie. Sunil and Brahmanandam play key roles in Mahesh Khaleja movie. Bollywood cinematographer Sunil Patel shot some part of the film while Yash Bhatt shot the rest. Mani Sharma composed the music. Mahesh Khaleja (Kaleja) film is a much awaited treat for Mahesh Babu fans who will be hoping to see the Trivikram and Mahesh Babu magic being recreated on screen.